Slow iPhone performance usually makes users embarrassing, in particular for those old iPhone models after updating to iOS 11/11.2/11.3/iOS 10.3. So you've searched the internet all wishing to speed up slow iPhone and fix the iOS 11 problems but only find the incomplete solutions. 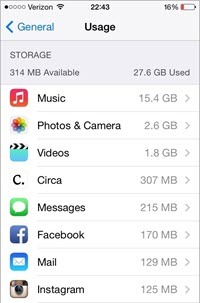 To be frank, many iPhones go unbearably sluggish, mainly attributing to the large space occupation and iOS update, for example, big iOS 11 requires up to 2GB of space, excessive files like music, videos, photos, messages, etc consume iPhone's memory space. Technically, it's far beyond that leading to slower iPhone. If your iOS 11/10 is painfully slow on iPhone and you want to make iPhone faster, here we provide the most comprehensive tips for you to learn how to speed up iPhone and other older iDevice models running on iOS 11/10/9/8. 4. 40%-70% space saved to speed up iPhone iPad by up to 50%. 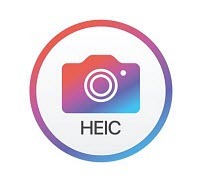 iOS 11 has introduced two new camera formats: HEIC and HEVC. Both the formats are designed to save 50% storage of the device at the same quality. In other words, with more space available using HEIC/HEVC compared to JPG/H264, your iPhone will be much faster. To speed up iPhone 7/8/x, don't forget to take photos in HEIC and record videos in HEVC. To enable the two new formats, go to Settings > Camera > Formats and choose High Efficiency. Have a lot of free apps on iPhone? If you are running many apps in background, your iPhone will go sluggish, especially when you open a big app. By shutting down all the open apps, your iPhone goes faster and more smoothly. 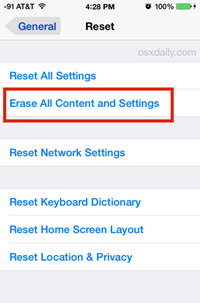 Follow the tips to fix iPhone slowing down issue as below if you are a newbie. Step 1: Double-click the Home button to bring up all the apps currently running in background. 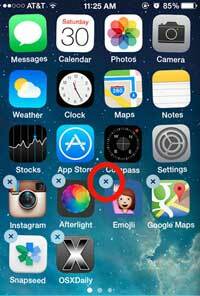 Step 2: Swipe upwards to turn off the apps. You can swipe upwards the apps one by one or swipe with up to three fingers. >>Note: There is no Home button on iPhone 8/Plus or iPhone X. To close apps in the background, follow the iPhone 8 tips: use AssistiveTouch from Settings > General > Accessibility > turn on AssistiveTouch. Then return to iPhone mian interface to click AssistiveTouch icon > Device > More > click Multitasking. Followed by the above Step 2.
iPhone storage space is limited. If you like to download movies to iPhone 8/7/7 Plus or have stored many videos, photos, songs, etc. on iPhone, your iPhone may run slowly, especially on older iPhone 4s/5. It's advised to free up space to spare more available storage, at least 1GB to make iPhone faster. Follow the steps to make your iPhone run faster. To delete music, open music app -> find the unwanted album, artist or track to be deleted -> Swipe to the right -> press Delete. To remove photos & videos, open the photos app -> find the images to be removed -> tap Select -> press the images you want to delete -> tap the bin icon -> confirm to delete the photos and videos you've chosen. >> Note: There is no massive delete option on iPhone. When it comes to deleting thousands of photos or songs, it can drive you crazy. If you don't wanna spend rare relax time on deleting iOS files, you can rely on the high-end MacX MediaTrans, which can bulk delete photos, videos, music songs, ringtones, iBooks, podcast, etc. from iPhone 8/Plus, iPhone X/7s/7/6s/6/5s/SE at No.1 fast speed. Plus, it also supports to transfer any file between iPhone and Mac/PC, remove iTunes DRM, create/edit music info, make iPhone ringtone, etc. 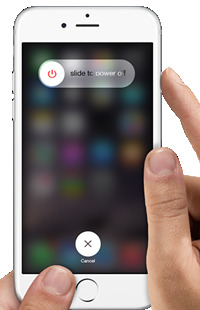 Step 1: Press and hold the Sleep button, which is on the top right of the older iPhones (For the new iPhone 8, iPhone 8 Plus, iPhone X or iPhone 7s/7/SE/6S, it is on the right side) till the Power Off slider appears. Step 2: Swipe it to power down the iPhone. Step 3: Press and hold the Sleep button for about 5 seconds to finish the occasional power cycle, after which the Apple icon appears. Then your iPhone will restart. From time to time, you may forget about the apps or games you downloaded from Apple Store. The sad news is that the unused apps not only take up a lot of space but also consume the CPU resource of your iPhone, either because of background refresh, notifications, or something else, leading to slow iPhone response. Therefore, it's an essential way to speed up iPhone 8/X/7s/7/6s/6/SE/5s in iOS 11/10 by getting rid of some apps and games you never use. Step 1: Just press the icon of the app or game you'd like to delete for few seconds until the apps wobble and the "X" icon on the top-left corner of the apps appear. Step 2: Click X icon to delete the app or game. Or you can go to Settings -> General -> Usage -> Manage Storage where you can see which apps eat up the space memory and how much storage space is left. Then delete the unwanted apps. Frankly, 1GB space will be good to speed up iphone. Good News: It is one of the iOS 11 problems that it slows down older iPhone 6S/6/5S/5/SE. Being aware of this, Apple is making enhancement of the latest iOS 11. So far, iOS 11.3 adds a new battery health checking feature to help boost iPhone speed. As on older iPhones, iOS 11 will slow iPhone to prolong the battery life. But with iOS 11.3's Battery Health feature under Settings > Battery, users can check the battery and close any app accordingly. Among which, automatically Offload Unused Apps is a must mention. Your iOS 11 iPhone 8/7s/7/6s/6/5s/SE can full-automatically delete unused apps without your involvement as long as you go to Settings > iTunes & App Store > Enable "Offload Unused Apps". Don't worry! All the data from the auto deleted unused apps are saved on your iPhone and you can also restore the deleted apps back on iPhone by slightly clicking on the app icon on your iPhone desktop. Another reason resulting in slow iPhone response is the text message and call history. By removing the old text messages can relief your iPhone memory to some extent, though this won't free up much space for your iPhone. But if the threads do contain images, videos and voice notes, you can get rid of them right away to make iPhone faster. Step 1: Open the Settings app -> Messages menu and scroll to the bottom. Step 2: Change the expiry of video and voice messages to "After 2 minutes". Two minutes later, the messages you receive or send will be deleted. >> Note: Have no habit to delete iPhone old messages regularly? No bother. Another iOS 11 new feature will serve you. 1. 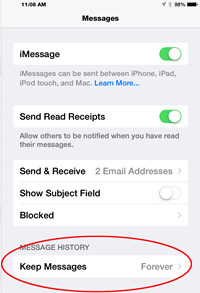 Go to Settings > General > iPhone Storage > Enable Auto Delete Old Conversations to remove old messages after a year. 2. Go to Settings > General > Message > Keep Messages > Select 1 Year >Enable Auto Delete Old Conversations. Safari's cookies, caches, and other data is responsible for a slow iPhone performance. So an effective way to speed up iPhone is to empty safari data and free up iPhone space. Step 1: Open the Settings -> scroll down to Safari. 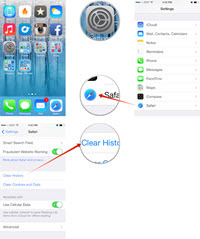 Step 2: Choose Clear History and Clear Cookies and Data. Note: Clearing the Safari data means you cannot find the websites you once bookmarked anymore. And Safari won't suggest URLs while typing. The automated features are constantly blamed for slowing down iPhone performance. Fortunately, you can disable auto-update and background app refresh to make iOS 11/10/9/8 run faster on iPhone 8/7/6s/6 and even improve your iPhone 8 battery life. Note: the automated features are only available in iOS 7/8/9/10/11. If your iPhone runs on iOS 6, please go to other methods to make iPhone faster. To disable auto update, tap Settings > iTunes & App Store > turn off Automatic Downloads. 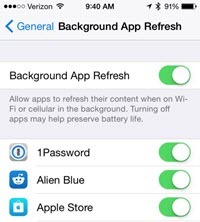 To shut down background app refresh, press Settings > General > Background App Refresh to turn off it. 1. iOS problems. Psychologically, older phone seems to be slower compared to newer ones. But the real iPhone slowness correlation is that newer iOS is synchronous with newer iPhone models and each iOS updates tend to make older hardware run slower. The typical examples are the iOS 8 and the latest iOS 11. One of the big problems with iOS 8 update is the huge memory consumption, leading to insufficient space for other tasks and slow iPhone performance. In this case, you'd better to wait until the iOS is stable and then upgrade to the new iOS to fix the bugs. As to the lateset iOS 11, a controversial decision is made by Apple to ensure there is no unexpected shut down of the older phones at the expense of slowing iPhone's processing power. 2. Incompatibility. Each iOS update means incompatibility with elder iDevice models. 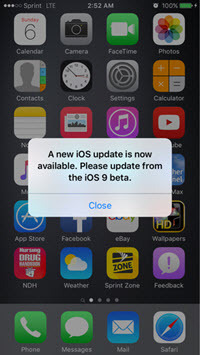 For instance, the iPhone 4 and earlier models are incompatible with iOS 8 upgrade; only iPhone 5S and newer models support iOS 11. Whilst users of older iPhone 4S or older models won't enjoy the privilege of new iOS for iPhone speedup. 3. iOS power consumption. Bear in mind, iOS 11 brings you a lot of amazing features and generally gives iPhone a boost in speed though, more and more power is required to run it to fight against the sluggish performance on iPhone iPad. That's why the new iPhone like iPhone X has faster processor than the iPhone 7 or predecessors. But for the older model like iPhone 6 or below, updating to iOS 11 will actually slow it down, because it struggles to run the demanding iOS. That's why many iPhone 5S users reported a slow performance on iOS 10. So we don't expect any faster performance on iOS 11 as well. If you report the iPhone slow problem after updating to iOS 11, please downgrade iOS 11 to iOS 10, which will somehow speed up iPhone. Resorting iPhone from iTunes backup is favor of iPhone speedup. If iOS upgrade is not what you are willing to, you can restore iPhone from an iTunes backup. Step 1: Plug the iPhone into Mac and open iTunes. 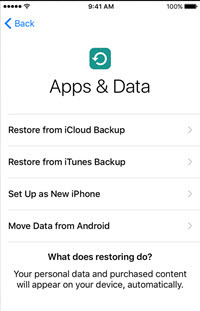 Step 2: Click the iPhone and tap Restore Backup… under Backups. Or you can click Back Up Now button next door if you need to backup iPhone into iTunes. Note: You are suggested to backup iPhone data first (better have a backup than need a backup) as this will undo all the changes you made on iPhone. And you an check the troubleshooting guide of iPhone won't restore from backup if your iPhone fails to restore from iTunes backup. Your ancient iPhone speed boost can also rely on some iPhone settings. 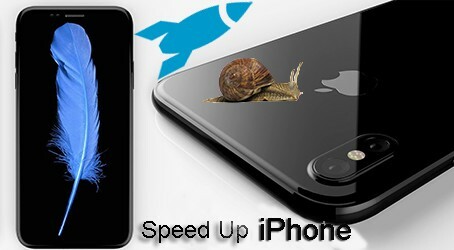 There are several speed tips to accelerate slow iPhone by tweaking Phone settings. 1. Turn down graphics for iOS 7/8/9/10/11 users only. Step 1: Tap on Settings > General > Accessibility > Reduce Motion and set Reduce Motion to On so as to turn off the parallax effect of icons and alerts, thereby increasing iPhone speed. Step 2: Tap on Settings > General > Accessibility > Increase Contrast and set Reduce Transparency to On so as to disable the background effects, thereby speeding up iPhone X/8/7/6/6s/5s running on iOS 11/10/9/8/7, specially on Control Centre. One trump card to solve the problem of sluggish iPhone is to resort to a full reset and return your iPhone to the factory default condition. 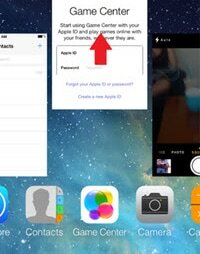 Step 2: Enter the passcode and confirm to delete all media and data. Step 3: Reset all settings. >> Note: The full reset (aka restore to factory settings) is a double-edged sword, which, on the one hand, speed up iPhone drastically, on the other hand, deletes all the data and media, including messages, contacts, photos, music, videos, etc. So please make sure to have backup iPhone to Mac, iTunes, iCloud or other cloud storage before resetting iPhone 8/X/7s/7/6s/6. For video buffs, watching videos can be a good way to kill time, but such video files, especially the HD files, take up a lot iPhone storage space, not to mention the 4K UHD videos. It's a pity that you have to delete them to save more space. But one better way rather than erasing is to move files from iPhone to computer for backup. MacX MediaTrans is born for this purpose, which enables you to bulk backup live photos, music, videos, iTunes purchases, ringtones, iBooks, etc. from iPhone SE/6s/6/7/8/X to Mac/Windows at one stroke. Just drag-drop to easily backup iPhone files so that you have no need to delete your iOS files and free up iPhone space to make iPhone run faster to a great extent. You can just free download this top iPhone transfer software for Mac or Windows platform. Then follow the steps to transfer iPhone photos to save iPhone's space and therefore speed up iPhone. Step 1: Connect your iPhone to Mac via USB cable and launch the iPhone photo manager. You can copy photos from iPhone X/8/7/6S/SE/6/5S/5C to Mac. Note: there will pop up a window to advise you to properly set iTunes lest your iOS device data gets lost. So please follow the prompts to set iTunes first. Step 2: Click "Photo Transfer" and you can see your whole album immediately. 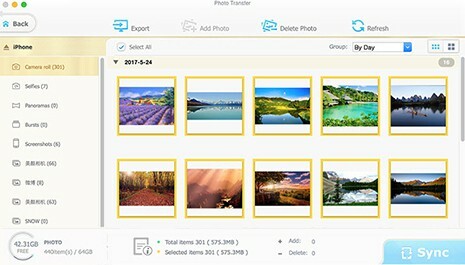 Select the photos you want to transfer from iPhone to Mac. You can export the camera roll, photo stream, photo library and my album as you like. Then hit "Export" to backup iPhone photos to Mac computers now.